Chris Adkins isn’t yet sure what they’ll name it, but at least the owners of The Rookery Golf Course near Milton now have a second golf layout they can call their own. After several weeks of negotiations, The Rookery reached a tentative agreement with Shawnee Country Club to lease the 54-year old Milford golf gem for the next four years, with an option to buy it at the end of that term. In mid-January, the shareholders of Shawnee CC voted overwhelmingly to seek such a lease with the Rookery owners, as a way to deal with the private country club’s ever-deepening financial crisis. 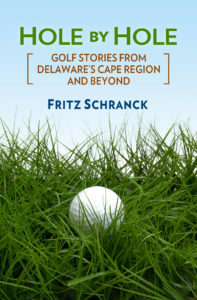 As the President of Shawnee, I certainly heard of the members’ keen interest in somehow finding a way to keep the course open, even as other private country clubs in Delaware and elsewhere found themselves shutting their doors. John Eustis, Shawnee’s vice-president, joined me in these negotiations. Adkins and Rookery head golf pro Butch Holtzclaw, assisted by one of the Rookery owners, James White, M.D., handled The Rookery’s end of the table. The lease has a few wrinkles left to smooth out before it will be signed. Both sides are still shooting for a March 1 start date. Shawnee members in good standing have an opportunity to pay the normal Rookery member fees for unlimited play at both courses. Current Rookery members will also have these dual course playing privileges. Look for a formal announcement from The Rookery for when that sign-up period will start, which should be very soon. If the Shawnee members don’t use up all of The Rookery’s open spots for memberships, I expect Adkins and his gang will find a few more folks willing to fill in the last such places. The 2012 fees are $1,350 for single members, and $2,200 for family memberships. The Rookery will take over all operations at Shawnee, including the tennis courts, the pool, the clubhouse, and the 18-hole golf course. Summer pool memberships will also be available. At the three-and-a-half year mark, The Rookery must tell Shawnee if it wants to buy the property, or renew the lease, or let the lease lapse at the end of the four-year term. Adkins is convinced that the eventual decision will be an easy one to make. If it all goes according to his plans, The Rookery will continue to be able to offer 36 holes of golf to Cape Region golfers and visitors for many years, with only 12 miles separating the two courses along Route One. All he has to do now, besides sign the lease, is figure out what they will call their new acquisition. Adkins is sure they will use the name Rookery in the eventual title, because the newly acquired golf course’s online and other marketing presences would significantly benefit from the positive associations with the name. Nonetheless, a huge number of golfers from all over the Delmarva Peninsula can still hear the name Shawnee and smile at the memory of the old club and its beautiful course. Personally, I like “Rookery II at Shawnee,” but it’s not up to me. Once the deal is fully inked, Adkins and his crew will finish their plans for a grand opening event. Look in a future column for that announcement. Congratulations to Walter Lett, an avid Cape Region golfer. He recently celebrated his 70th birthday by playing 70 holes on that day at Marsh Island Golf Club, in Angola. Lett’s buddy, Dr. Mike Burkhardt, filled me in on the good news. If Lett was tired after all that golf, at least it was a good tired.